My last post ended on the Miskito Coast of Nicaragua, at the Miskito Cays, off the northeast coast of Nicaragua. This region was also known as the Miskito Kingdom. I am picking up the alignment in this post in Leimus, Honduras. As I shared in the last post, this is the Coat of Arms of the Miskito, or Mosquito Monarchy, or La Mosquitia in Honduras. Makes me wonder how this guy got this name in English. The Mosquito Coast is named for the indigenous people who lived here, not the insect as perhaps we have been led to believe by historical omission. The next place on the alignment is Leimus, in the Honduran Department of Gracias a Dios, also in the region of La Mosquitia that is historically part of the Miskito Kingdom that includes the Nicaragua Coast. It is situated on the border between Nicaragua and Honduras, serving as a border crossing in the remote wilderness of this region. It is situated on the Rio Coco, or River Wanki to the Miskitos, and which forms the border between Honduras and Nicaragua, and which is the longest river in Central America. The Rio Coco originates in the Somoto Canyon, in northwestern Nicaragua, near where the Pan-American Highway crosses into Nicaragua. Since we have been given no other explanation for how canyons came into being, we assume they were created by natural forces. Yet here is a close up of the same photo to highlight where visible surfaces of stone are dressed with straight edges. La Mosquitia has the largest wilderness area in Central America, comprised of mangrove swamps, lagoons, rivers, savannahs, and tropical rain forests. It is considered a biodiversity hotspot with all of the different plant and animal species that are found here, and a number of the endangered species. …and the metallic-looking Honduran Chrysina, a Golden Jewel Scarab beetle, one of the rarest scarab species in the world. The alignment crosses the Rio Platano, which has a Biosphere Reserve, and a UNESCO World Heritage Site since 1982. It is part of La Mosquitia, northwest of Leimus. It is part of what is called the “Great Lungs” of Central America. It is the most significant nature reserve in Honduras, and has been listed as a UNESCO World Heritage Site in Danger since 2011. Threats include, but are not limited to, illegal activities like logging, hunting, and clearing land to graze cattle. I found this picture taken at a location within the biosphere reserve, with its huge, block-shaped rocks with straight edges. There are at least 200 sites within the Rio Platano Biosphere Reserve of La Mosquitia, that are considered archeological sites, like the legendary White City believed to be inside the red lines shown here. Several expeditions have searched for the White City since 1920. Most recently, in 2012, a team of American and Honduran archeologists mapped large plazas, mounds, earthworks, and a pyramid. …which is reminiscent of this feature of Quillarumiyoc, an ancient site outside of Cusco, Peru. …and a historic photo of the Red River in Winnipeg, in the Canadian Province of Manitoba. These are a just few examples of the many snaky, S-shaped rivers I have found on these planetary alignments around the world. On its way to Trujillo, a city and municipality in the Honduran Department of Colon on the northern Caribbean coast. It is situated on the coast at the foot of Mounts Capira and Calentura, which together form the Capira and Calentura National Park, which the alignment also passes through. This is a view of the nicely curved shape of Trujillo Bay from the top of one of these mountains. Trujillo is considered to be the frontier between civilization and the jungles of La Mosquitia. It is even possible to find exclusive residential homes here. Trujillo is considered one of the oldest cities in the Americas, when Columbus landed here in 1502 on his fourth and last journey. There is a star fort here in Trujillo – the Fortaleza de Santa Barbara. Here is the Fortaleza de Santa Barbara from another angle. Like with so many things, star forts have been ignored in conventional history, and their existence doesn’t fit with the historical narrative we have been given because star forts are found all over the world, with the same basic star pattern, but differing in design complexity. Moving off the mainland of Honduras at Trujillo, 40 miles in to the Caribbean Sea, the alignment crosses the largest of the Bay Islands, Roatan. Cruise ships stop here, and it is a popular scuba diving and eco-tourism destination. Roatan is almost entirely surrounded by the Mesoamerican Barrier Reef which is the largest barrier reef in the Caribbean, and the second-largest in the world after the Great Barrier Reef off the northeastern coast of Australia. It begins off the coast of the Yucatan Peninsula, and continues southward into Belize’s waters, across these Bay Islands off the coast of Honduras, and ends of the northeastern coast of Nicaragua where the Miskito Cays are located. …and Lake Jingyue on the Songliao Plain, also known as the Manchurian Plain, in Changchun, China. This is West Bay Beach on Roatan. …to what is seen at other beaches, like Vaja Beach in Korcula, Croatia…. …and Myrtos Beach on the Island of Kefalonia in Greece. The next place on the alignment is Belize City, the largest city in Belize, and the former capital of British Honduras from 1862 until 1970. …apparently, it is a city of canals. The Belize River itself is another example of a snaky, S-shaped river. I will end this post here, and pick up the alignment in Chetumal, Mexico, in the next post. My last post ended in Panama City, Panama, the capital and largest city of Panama, and the Pacific Entrance of the Panama Canal. I am picking up the alignment that starts, and ends, in Algiers, as it tracks over length of the Panama Canal. The Panama Canal is an artificial 82-mile, or 51-kilometer, waterway in Panama that connects the Atlantic Ocean and Pacific Ocean via the Isthmus of Panama. The project of building a canal across the Isthmus of Panama is said to have been started by the French in 1881. They are said to have been unsuccessful in completing it due to engineering problems and a high worker mortality rate. Then the Americans are said to have taken on the project starting in 1904. This is President Teddy Roosevelt posing at the controls of a steam shovel at the Culebra Cut of the Panama Canal in 1906. …just in time for the beginning of World War I, which started on July 28th, 1914. The completion of the Panama Canal is said to have greatly reduced travel time for ships to travel between the Atlantic and Pacific Oceans, and allowing them to avoid the hazardous Cape Horn route via the Strait of Magellan at the tip of South America. A Strait is defined as a narrow channel of water joining two larger bodies of water. The Strait of Magellan is a navigable sea route in Southern Chile that separates South America from Tierra del Fuego, and is considered the most important natural passage between the Atlantic and Pacific Oceans. Interesting pyramidal-shaped mountain in the background here. Volcano? Well, at least that is what we have been taught to think. Looks like a pyramid to me…. For comparison, this is the Bosnian Pyramid of the Sun in Visoko, Bosnia, before archeological excavation work started here in 2005, revealing an entire pyramid complex. So what I am curious about now is how the Spanish Conquest of Peru and South America is supposed to have happened. We are told that Pedro Arias D’Avila established a base of conquest in Panama City for Peru in 1519, on the Pacific side of the Isthmus of Panama. The coast of Spain is on the Atlantic Ocean and Mediterranean Sea. Isthmus is defined as a narrow strip of land connecting to larger land areas. The Spanish Conquest of Peru is said to have started in 1532 with the Battle of Cajamarca, a city in Northern Peru. It is quite a distance from Panama City, by land or sea. It sits at 8,900 feet in elevation, or 2,750 meters. That’s way up there, about 1.7 miles, or 2.75 kilometers, in elevation! It is generally agreed that altitude sickness typically tends to start occurring at 8,000 feet. Characterized by headache, nausea, shortness of breath and vomiting. Apparently, Pizarro and his 128 men marched to Cajamarca from Piure, on the coast of modern-day Peru. If the Conquistadors arrived by sea, according to the information we have been given in our history, they would have had to come by way of the hazardous Strait of Magellen, which had just been explored by Magellen in 1520, twelve years earlier, and in the opposite direction from Panama City. This tells me there was some kind of viable waterway in Panama already. …compared with the earthworks at the Caledonian Canal locks in Northern Scotland, said to have been started in 1803, and completed in 1822 by Scottish Engineer Thomas Telford. Keep in mind the Industrial Revolution was just getting started in Scotland. For example, the hot blast furnace for smelting iron was invented and implemented in 1828 in Scotland. This was after the Caledonian Canal was said to have been completed. …connecting the Mediterranean Sea and the Red Sea through the Isthmus of Suez between 1859 and 1869. He was also the guy said to have been behind the what we are told was the failed French effort to build the Panama Canal. I just wanted to demonstrate how many inconsistencies and holes there are in the history we have been given to explain how certain things came about, as well as how canals were built and who built them. These are sophisticated engineering projects, built during times we are told we did not have advanced technology, which one would expect would be needed to build this monumental infrastructure. I have found canal systems in cities around the world. The best known is in Venice, Italy, but Venice is far from being the only one. The Advanced Ancient Civilization was a maritime civilization, as comfortable on water as on land. I believe Moorish Master Masons of the Advanced Ancient Civilization built all of these canals systems. The Moors were the custodians of the Ancient Egyptian mysteries, according to George G. M. James in his book “Stolen Legacy,” and they still are. I will be bringing up this subject again soon, as we will be going through the Heart of the Ancient Washitaw Empire in Louisiana on this particular circle alignment. While there are a number of whopping big secrets that have been kept from Humanity, this one ranks at the top of the list!!! This is a section of the Suez Canal in Egypt, with stone walls on either side of a very straight channel that look sheared off evenly with each other. Napoleon’s teams of experts discovered ancient canals through this region in 1798. Is this why the French ended up with whatever they did at the Suez Canal, I wonder? Back to Panama. The alignment – and the Panama Canal – cross over the Continental Divide on its way across the Isthmus of Panama to Lake Gatun, just south of the next major city at Colon, Panama. ..like this one, the Boddington Gold Mine in Western Australia near Perth. This is Lake Gatun. It is a large artificial lake which forms a major part of the Panama Canal, carrying ships across for 21 miles, or 33 kilometers. Lake Gatun was created between 1907 and 1913 from the damming of the Chagres River. At that time it was the largest man-make lake ever created. I have my own beliefs about man-made lakes having dual purposes – creating infrastructure, and covering up ancient sites. See my blog post “On Chimney Rocks and Man-Made Lakes” for more information in this subject. …and near what serves as the Atlantic Ocean entrance of the Panama Canal. …and this is a historic photo of the Old Quarter of Colon, circa 1933. Colon has a history of fires. The first was called the Burning of Colon in 1885, which took place during the Colombian Civil War. …and displaced many city residents, who were forced to migrate from Colon when their homes were lost. This is an aerial of Fort San Lorenzo, on the Caribbean coast at the village of Chagres, near Colon. It is a UNESCO World Heritage Site, said to have been built in 1587. Henry Morgan, a Welsh pirate, ordered the destruction of Fort San Lorenzo in 1670. …which had a similar fort of which only ruins remain. This is a diorama of what Panama Viejo would have looked like before its destruction. There is one more place I would like to look at before leaving Panama, and that is Chagres National Park, just east of Colon, and encompassing 300,000 acres, or 129,000 hectares, of Colon Province. I have found that what hasn’t been destroyed of the Advanced Ancient Civilization is preserved in national, state, and local parks around the world. …and this one at Lake Overholser in West Oklahoma City, which is an artificial lake, like pretty much all of the lakes in Oklahoma. They are telling us something here with this. It’s like their way (the people who know about the ancient civilization) of telling us without their really telling us they are telling us. …compared with the waterfall I found back in Algeria, in the Chrea National Park in the Atlas Mountains. I always find waterfalls on the alignments as they are an important part of the planetary grid system. From Colon in Panama, the alignment crosses the Caribbean Sea to Puerto Cabezas, also known as Bilwi in the Miskito Language, and is the capital of the North Caribbean Coast Autonomous Region of Nicaragua. The municipality and this entire region are indigenous lands. …compared with this beach at Manzanita on the western coast of Mexico near Colima. Puerto Cabezas is at the northern end of Nicaragua’s Miskito Coast, also known as the Mosquito Coast and the Miskito Kingdom. It runs from the southern coast of Honduras and pretty much the length of the Nicaraguaran Coast along the Caribbean Sea. It is named after the Miskito people, and not the insect mosquito. The Miskito are considered a First Nation People, having occupied the North Caribbean Coast of Nicaragua for thousands of years. It was a kingdom until the colonial powers got involved, starting with the British in 1740. Then things changed over time. …and from there the lineage continued with Hereditary Chiefs, with the last one being His Eminence Robert Henry Clarence from 1890 to 1908. He was born in 1872, so he would be the young man in this photo with his Executive Council. The Cayos Miskitos, or the Miskito Cays, are part of the North Caribbean Coast of Nicaragua off the northeastern coast of Nicaragua, and are in a protected status. They are uninhabited except for wooden fishing villages supported on poles above the water. I am going to end this post here, and will pick up the alignment in Honduras. So far in this series, tracking the circle alignment that begins, and ends, in Algiers, the journey has taken us through Algeria, Mali, and Guinea in West Africa, across the Atlantic Ocean over the Equatorial Counter Current, to where the alignment enters South America in Brazil. The last post ended in Manaus, Brazil, the largest city in the Amazon Rainforest. The starting point on the alignment for this post is Concordia, a town in the Colombia Department of Antioquia, in the Southwestern Subregion of the Department. It is said to have been founded in 1830. It is located in the mountains, and coffee farming is the primary economic activity for the people who live here. Coffee Community Aid operates La Josefina Cooperative in Concordia, and provides direct assistance to improve the quality of life for the people who live here. … or 480 pounds of roasted coffee each year. Concordia, in Antioquia, is just north of a vast region of Colombia which this alignment passes through, known as the Coffee Triangle, Coffee Growing Axis, or the Colombian Coffee Region. It is comprised of the Departments of Caldas, Quindio, Risaraldo, and Tolima. Nestled within the Coffee Triangle is a UNESCO World Heritage Site – the Coffee Cultural Landscape of Colombia (CCLC) – designated since 2011. This region is in the central and western foothills of the Andes Mountain Range. Interestingly, there is a direct connection to Africa with this piece of information. The coffee plant, or Coffea Arabica, originated in Ethiopia. This is a photo of an Ethiopian coffee farm where the Sidamo coffee bean is grown, in the Province of Sidamo in the Ethiopian Highlands. So the growing of coffee is freely acknowledged to have originated in the Ethiopian highlands. It is said, however, to have spread through the Arab and European worlds in the 16th- and 17th-centuries, and that it came to South America in the 18th-century. According to this map, there is a convoluted history story given to us showing how the Coffea Arabica plant was distributed around the world, with the point of origin in Ethiopia. It shows that Ethiopia’s neighboring countries of Kenya and Tanzania didn’t get the coffee plant until the late 1800s, and Cameroon, almost directly across the continent from Ethiopia, didn’t get the coffee plant until the early 1900s. Hmmmm. I read that it was said no one is exactly sure who inhabited the mountainous regions of Colombia in pre-Columbian times. This is where the available history on the Antioquia Department gets really interesting. While it does not mention Ethiopia, it does mention other things that one would not expect to find here. For one thing, the Spanish to English translation of Antioquiao is Antioch. What is the name Antioch doing in Colombia? Antioch, we are told, was an important city in Ancient Syria. Prior to the Colombian Constitution of 1886, Antioquia was a state with its own sovereign government. This map shows the boundaries of Antioquia in 1863. Prior to the Spanish Conquest, this area was primarily inhabited by the Muisca, an indigenous people here the formed the Muisca Confederation. Their language was called Muysca or Mosca. If this is the first time you are hearing of the Muisca, we are told they were one of the four advanced civilizations of the Americas encountered by the Conquistadors, the other three being the much better known Mayas, Aztecs, and Incas. Why would they be removed from the history books, I wonder? …and this ceremonial raft is another. From estimates of a population through this region of up to three million people at the time of the arrival of Spanish Conquistadors, the modern population number for the Muisca people is approximately 14,000. This is the pre-Columbian Muisca archeoastronomical site, in Villa de Leyva in Colombia, called El Infiernito. This means “Little Hell” in Spanish. It is comprised of several earthworks surrounding a setting of pink sandstone menhirs (upright standing stones). To date, a total of 109 standing stones have been excavated. It served as an astronomical observatory, for at least one of its purposes. The other interesting thing I want to bring forward about Antioquia’s history is this. There is considerable evidence about a historical Basque presence here, especially with regards to Basque surnames in the population, and Basque terminology in the language. The Basques are ancient people, with their homeland being considered Basque Country in Spain and France. The language and DNA of the Basques are distinct. Their language, Euskara, is the only pre-Indo- European language that is still spoken in Europe. While there has been significant Basque emigration here from Basque Country over the last couple of centuries, for researchers into this subject, it does not easily explain the prevalence of the use and retention of the Basque language here, in a place conquered and colonized by the Spanish. The Spanish dialect of Antioquia is heavily influenced by the Basque language, indicative of a long-time presence in this region of Colombia. Moving further up the circle alignment in Colombia from Concordia is Bogota, the capital and largest city of Colombia. Administered as the Capital District, it is has the same administrative status as Colombia’s other departments. Bogota was said to have been founded in 1538 by the Spanish Conquistador Jimenez de Quesada, after he somehow managed to conquer the powerful Muisca. It was the capital of the New Kingdom of Granada, which included lands of present-day Colombia, Venezuala and Panama. This was the flag of the New Kingdom of Granada. …which is part of the larger Altiplano Cundiboyacense, which is a high plateau in the eastern Cordillera of the Colombian Andes. Tequendama Falls are 20 miles southwest of Bogota, and formed from where the Bogota River reaches the southwestern edge of the plateau. If you have been following my work, I have shared that I consistently find waterfalls on planetary alignments. The definition of a plateau is an area of highland consisting of relatively flat terrain that is raised significantly above the surrounding area, often with one or more sides with steep slopes. Plateau is one of the code words used to cover-up ancient infrastructure. In this photograph of the Altiplano Cundiboyacense you can see relatively flat ground in the fore- to mid-ground. …as is Castle Hill in Thetford, England. …and this one is in the Parque el Virrey in North Bogota. The next place is Medellin, which is the capital of Antioquia, and Colombia’s second-largest city. We are told the Museo el Castillo was modelled after the French chateaux of the Loire Valley and built by the first architectural firm in Medellin in the 1930s for a prominent Medellin family, becoming an art museum in 1971. This is a chateau in the Loire Valley in France, the Chateau Chenonceau, said to have been built in the early 1500s. My question is, based on what we have been taught about our history, how did they build these two castles when they are said to have been built? We are not supposed to have had advanced building technology in these eras, and we can’t even build with stone like this today. I think something is going on with falsely attributing builders all over the world. See my dedicated blog post on this subject “Castles and Ruins in North America” for more information on why I say this. …compared with The Seo, or Cathedral of San Salvador in Zaragoza, Spain, said to have been consecrated in 1318. The Seo is part of the UNESCO World Heritage Site Mudejar Architecture of Aragon. Mudejar is the name given to Moors of El-Andalus during the Christian Reconquista. While the Moors are given credit in our history books for ruling Spain from 711 A.D. to 1492 A.D. we are given pretty much the same dates for the time period of the Christian Reconquista. One more thing I want to share before leaving the Medellin area. This is the Stone of El Penol in Guatape, Colombia, which is a short distance east of Medellin in Antioquia. The new town of El Penol claims the granite monolith as their own too, and the old town of El Penol is underwater because of a hydroelectric dam project. As a matter of fact, the rock rises from the bottom of the Penol-Guatape hydroelectric dam. The staircase is the only way to get up to the top, where there is this brick observatory and other infrastructure. However they did it, it would be a heck of a job getting all the building supplies up to the top, much less build everything. Just saying. Next the alignment crosses over Panama’s Isla del Rey, or King Island, the largest of the Pearl Islands in the Gulf of Panama. ..at the port town of San Miguel on the northwestern coast of the island. On a modern pop culture note, the 2003 series of “Survivor: Pearl Islands” was filmed on Isla del Rey. I actually think I saw all of that one. I stopped watching “Survivor,” and television, a long time ago. The alignment crosses mainland Panama at Panama City, the capital and largest city of Panama. The city is located at the Pacific Entrance of the Panama Canal. Panama City was said to have been founded by the Spanish Conquistador Pedro Arias D’Avila in 1519, and used as the starting point for the expeditions that conquered the Inca Empire in Peru. Panama Viejo, the original city, is said to have been destroyed by fire after being sacked by the Welsh pirate Henry Morgan in 1671. This is a diorama showing was Panama Viejo would have looked like before 1671, which apparently included a star fort at this location. And now that I am looking at the actual ruins of Panama Viejo, I question that fire was the only thing that destroyed this place. Maybe he torched the place, but this is stone. It would take more than fire to create the ruins seen here to day. The still existing historical district of Panama City, Casco Viejo, we are told was built and settled in 1673, immediately after the destruction of Panama Viejo. …compared with Old Sao Luis back where the alignment enters South America on the Brazilian coast. The streets are curving in opposite directions, but in the old towns of both places, the architecture is similar, and both streets are steeply sloping. Both are designated as UNESCO World Heritage Sites. …compared with the old historic center of Portuguese Sao Luis, back on the coast of Brazil. I am going to end this post here, and pick up the alignment in the next post as it tracks over the Panama Canal. In my last post, this new series started in the ancient city of Algiers in Algeria, and tracked what is found on the alignment across the Atlas Mountains of Algeria, ending in the Tuareg city of Reggane in Algeria. When I started to do the research, however, very, very little pops up about it. I can’t find a map on the internet of Mali now that even shows El Guettara. So I don’t know what happened to it. El Guettara is referenced in some internet articles. One said that it is one of the hottest places in the world, as is this whole region of Mali and Algeria in West Africa. Reggane in Algeria is included in that designation as well. So I will start at the next place I have on my list, and which is directly on this alignment. It is called Araouane, or El Arawan, in the Taoudenit Region of Mali. It is located 150 miles north, or 234 kilometers, of Timbuktu. In the present day, it only services caravan trade between Timbuktu and the Salt Mines of Taoudenni in Northern Mali. Comparing the globe and map, it looks like the salt mines could be located at or near where El Guettara was, but I am still not finding confirmation. Curious as to why this information is not available. We are told in earlier centuries, Araoune was an important entrepot on the Trans-Saharan Caravan routes pictured here, meaning it served as an import and export trading post. Today it is a small village of about 45 families. It has definitely had better days, and moving further along this alignment I will bring forward Mali’s glorious past. Timbuktu, almost directly south of Araouane, is not directly on the alignment. It is situated on the Niger River. It is the capital of the Timbuktu Region of Mali. “Timbuktu” is used in several languages to represent a faraway place. If you ever wondered where Timbuktu was, or even if it was a real place, it is an ancient city here in Mali. In the 14th-Century it became a part of the Mali Empire. At its height, the Mali Empire encompassed almost all of what is now Senegal; the northeastern part of Guinea; the northwest corner of the Ivory Coast; the eastern tip of Niger; most of present day Mali; and Southern Mauretania. It was founded by Sundiata Keita in 1230 AD, and became renowned for the wealth of its rulers. He died in 1255 AD. His great-nephew, Mansa Musa, who ruled the Mali Empire from1312 – 1337. During his reign, Mali may have been the largest producer in the world of gold. On a legendary pilgrimage to Mecca in 1324-1325, its lavish opulence apparently well-documented by contemporary eyewitnesses, Mansa Musa gave so much gold away along the way there that the sudden influx of gold caused its devaluation through the regions he travelled. 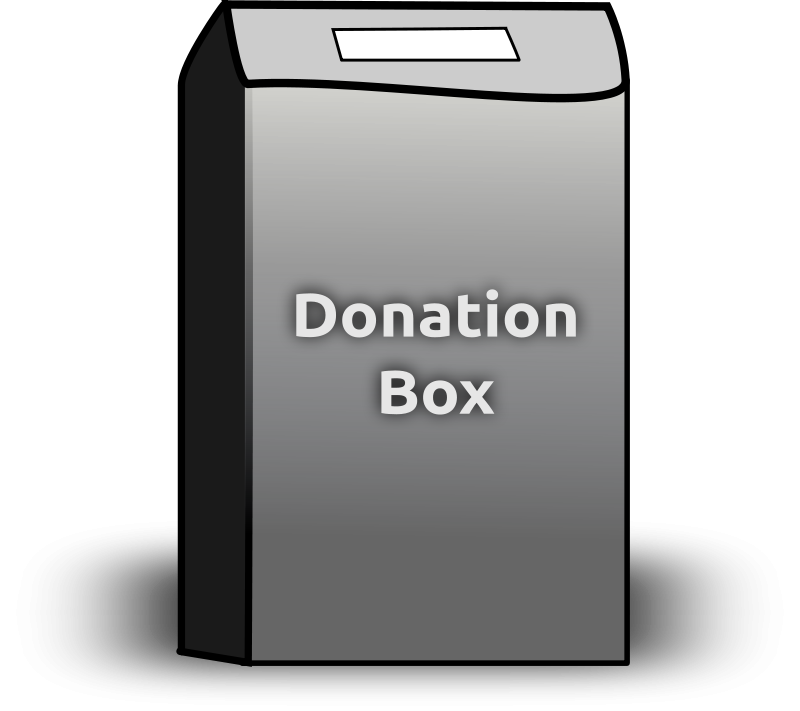 He is then said to have taken steps to mitigate the unintended effects of his generosity on his way back by borrowing all the gold he could carry from money-lenders at high interest. Has the general population ever heard of him? Does this immense wealth fit the historical narrative we have been given about this part of the world? The time period of Timbuktu’s Golden Age is said to be between 1464 and 1591, during the years of the Songhai Empire, which replaced the Mali Empire in the region, and was one of the largest African states in history. In Timbuktu’s Golden Age, its prominence in the trade networks made a book trade possible, and along with the towns numerous scholars, it became an important scholarly center in Africa. The Sankore Madrassah, Djinguereber Mosque, and Sidi Yehia compose the University of Timbuktu. As a center of learning and trade over centuries, hundreds of thousands of manuscripts were collected here. Called the Timbuktu Manuscripts, approximately 700,000 manuscripts are now in the collections of several libraries in Timbuktu for safekeeping. I would also like to talk about Djenne, and while near, is also not directly on the alignment. It is quite noteworthy for several reasons. …and during the rainy season from June to September becomes an island that is accessed by causeways. It is also notable for its adobe (mud-brick) architecture. Djenne’s masons use a technique called Djennefere using cylindrical, instead of rectangular, bricks as building materials. This is the Great Mosque of Djenne, one of the world’s largest mud-brick buildings. For comparison, this is the Bam Citadel, located near Kerman in Central Iran on a different circle alignment. It is the world’s largest mud-brick building. The mud buildings in Djenne certainly share similar characteristics with the mud-brick Bam Citadel in Iran. The area around Djenne is also known for a mud-cloth material called bogolan. It is a traditional Malian fabric dyed with fermented mud. Djenne is also located close to Dogon Country. This is the Bandiagara Escarpment, one of the homes of the Dogon in Dogon Country. The Dogon have a very sophisticated spiritual, astronomical and calendrical system, as well as extensive anatomical and physiological knowledge. They also have a systematic pharmacopeia, which means directions for compound medications. Perhaps they are best known for the accurate knowledge they possess about the Sirius star system. Yet it is mainly an agricultural society. They say they were visited in the distant past by amphibious beings from Sirius called the Nommo, who were their teachers. Who is to say they weren’t? The Dogon have such incredibly advanced and sophisticated knowledge that there is no good explanation for it except that they are telling the truth! The Dogon perform elaborate ceremonies with masks, headdresses, and dance. …and with this image on the left, which is a well-documented laboratory electric discharge form of plasma next to a form called the “stickman” that is found in rock art worldwide. Think the ancient peoples of the earth might know something we don’t? One more thing before leaving Dogon Country. I have made the comparison of the similarity between Bandiagara Escarpment and Mesa Verde in Colorado in the past. Not only because of this similarity, but other information I have encountered over the years as well, I think that it is highly likely the Dogon played a much more significant role in world history than is presently realized, understood, and acknowledged. For one thing, this is what the world looked like before whatever caused continental drift, when it was called Pangea, when the west coast of Africa was right next to the east coast of North America, and the northern coast of what is now part of South America, and it is not hard to envision that there were much closer ties between the continents. Regardless of anything, there are huge chunks of information missing from the historical record that we no longer have access to by conventional means. We just have mind-boggling mysteries that we can’t explain by conventional means. Next on the alignment we come to Bamako, the current capital of Mali, and its largest city with over 2,000,000 people. Mali was annexed into French West Africa from 1895, and French rule ended in 1959 when the Republic of Mali was established. This is the National Post Office in Bamako. We are given a date of 1915 for its completion at the top of the building on the right-hand side of the photograph. What was going on in 1915? So while the French Government in France was fighting the deadliest war up to that time in world history, the French government in Mali was building a post office in Mali that looks like this? Does this make sense? Bamako is situated on the Niger River, near the rapids that divide the upper and middle Niger valleys. Now, without any other information, we just see these as natural rock formations. Why wouldn’t they be? This is a photo of the rapids called the First Cataract of the Nile River going through Aswan in Egypt. Why would an area of rapids be called a “cataract,” I wonder? The most well-known definition of a cataract is a clouding of the lens of the eye which leads to a decrease in vision. Don’t think it couldn’t be that obvious. This cover-up has been inserted right into our language. When I realized this several years ago, I was able to crack the cover of key words that were used to cover-up the ancient civilization by calling them natural features. In case you think these big, blocky, shaped rocks could just be coincidental, here is a picture of the Blakeney Rapids on the Mississippi River in Ontario. They are recurring features of the world’s river systems. I could go on and find more in Bamako, but I think this is a good stopping place for this post. I will pick up the alignment in Conakry, Guinea, in the next post. Thus far I have shared with you two complete circle alignments that I found – one emanating from Merida, Mexico, and another from Amsterdam Island, one of the French Subantarctic Islands in the South Indian Ocean. This new series is about a circle alignment that begins and ends in Algiers, Algeria. I found a star tetrahedron early in 2016 on a map that had been given to me when I started noticing that major cities lined up in lines in North America, and connected them. I extended the lines out, and eventually switched to a globe. I used a magnifying glass, and wrote down the cities and lined up in linear or circular fashion. I have gotten an amazing tour of the world of places I have never heard of with remarkable similarities across countries and continents. I believe there was an ancient advanced civilization that existed up until relatively recently that was totally aligned with itself, the earth, and the Heavens, and we have not been told about it, and on top of which a false narrative has been grafted. These star maps were done by Wayne Herschel, a South African researcher. My work is about providing compelling evidence for why I believe this. This is a photo of Manhattanhenge, an annual event during which the setting sun or the rising sun is aligned with the East-West street grid of Manhattan on dates evenly spaced around the summer solstice and winter solstice. There similar alignments with the sun and street plan that occur in other major cities, like Toronto, Baltimore, Chicago, and Montreal. My primary focus is on looking features in each place that are similar to features found very different places around the world. Keep in mind there are many more examples than the ones I am providing. At the very least, I hope to provide a thought-provoking experience regarding reasons to question the historical narrative we have been given. Algiers is the capital, and largest city of the Northern African country of Algeria, and is situated on the west side of a bay of the Mediterranean Sea. It was ruled by the Deys of the Regency of Algiers until 1830, at which time the last Dey, Hussein Dey surrendered to invading French forces. The old part of Algiers is located on a steep hill, topped by a citadel called the Casbah, and is known as the Ancient City of the Deys. The five noble titles of the Moors are: El, Bey, Dey, Al, and Ali. Ancient means something belonging to the very distant past. Yet we are told that the title of Dey in Algiers (as well as the Deys of Tunis and Tripoli) was given to these rulers under the Ottomon Empire, starting in 1671. Yet the Casbah is known as the Ancient City of the Deys???!!! …and Old Zagreb in Croatia. I find the curvature, steep slopes, and angles of the street lay-outs to be remarkably similar considering they are across countries and continents. …compared with a detail of windows in Venice, Italy. The Botanical Gardens of Hamma are in Algiers. They are also known as the Test Gardens of Hamma because when they were said to have been established in 1832, under the auspices of the interim French government after the surrender of the Dey of Algiers in 1830, it was started as a test farm and model garden. …reminded me of the National Mall in Washington, D. C.
This is Algiers Harbor today. Of note in the middle of the photo is a very long jetty. Jetties are very common features in the world’s harbors. Like this one in Hilo Bay on the Big Island of Hawaii. Algiers was known historically as “Algiers the White” for the color of its buildings. …and the white El Jedid Mosque in Algiers. I find it very interesting the port city of Mogadishu in Somalia, located on the horn of Africa was called the “White Pearl of the Indian Ocean” before civil war there started in 1991. Sadly, the beautiful architecture of this once grand city has been badly damaged, if not completely destroyed, since 1991. Both places had similar architectural features, yet these two African countries are not located close to each other. Algiers is in North Africa on the Mediterranean Coast, and Somalia is in East Africa on the Indian Ocean, situated next to Ethiopia and Kenya. Leaving the city of Algiers, next on the alignment we come to the Atlas Mountains, a mountain range in the Maghreb. The Maghreb is another name for North Africa, as is the Barbary Coast, and consists of the countries of Algeria, Morocco, Mauretania, Tunisia, and Libya. It is also known as the Land of Atlas for the Atlas Mountains, which separate the Mediterranean and Atlantic coasts from the Sahara Desert. The Atlas Mountains in Algeria are primarily inhabited by the Chaoui Berber people. The Berbers are an ancient people of North Africa. …and mark the northern edge of the Sahara Desert. The Atlas Mountains is the location on earth where, according to Greek mythology, the Titan Atlas was condemned to support the heavens. This was his special punishment for his participation in a 10-year Battle of the Titans, in which there was a series of battles involving the younger generation of Titans against the older Gods of Mount Olympus, and the younger Titans lost. The other Titans were put in a place called Tartarus, described by Homer as a deep and sunless place. There are a number of national parks in the Atlas mountains. In Algeria, I would like to touch base on two that are situated on or near this particular alignment after leaving Algiers. The first is Chrea National Park. It is located in the Blida Province, and is part of the Blidean Atlas Mountains. There is a colony of Barbary Macaques here. Also known as the Barbary Ape, it is an endangered species. It also has a forest of ancient Atlas Cedar. This is a cedar native to the Atlas Mountains. Waterfalls are found all along these alignments, and Algeria is no exception, as these are found in Chrea National Park. The other Algerian National Park I want to highlight is Theniet El Had National Park. It has one has one of the greatest protected forests of Atlas Cedars in Algeria. It is located at the Southern limited of the great massif of Ouarsenis. I found a description of Ouarsenis that called it the eastern part of the Maghrebian Tethys former margin, which is apparently referring to the tectonic plate upon which this part of the world sits. Tethys was also the name of a Titan-Goddess in Greek Mythology, and she was the primal font of fresh water which nourishes the earth. …and Twin Lakes Reservoir in Bethel, Oklahoma. Next on the alignment, we come to the city of Reggane in the Sahara Desert. It is the capital of the Reggane District in the Adrar Province of Algeria. France began its nuclear testing program in Reggane in 1960 – 1961, before Algeria’s independence. They conducted four atmospheric nuclear tests, which contaminated the Sahara Desert with plutonium, negatively impacting those who live here to this day – not only Reggane, but far beyond. Between 1960 and 1966, a total of 17 nuclear tests were conducted in the Reggane District of Algeria. It is called Africa’s Hiroshima. The Tuareg live here, an ancient Berber people. Women have a high status in the matriachal Tuareg society. Among other things, primarily women own livestock, and other movable property, while personal property can be inherited by both women and men. This is a rendition of the legendary Tuareg Queen of the Hoggar, Tin Hinan. She is believed to have lived between the 4th and 5th centuries A.D.
… in the Ahaggar, also known as Hoggar, Mountains of Southern Algeria. I am going to end this post here, and pick up the alignment in El Guettara, Mali, in the next video. This will be the last part of this series tracking the circle alignment that starts, and ends, on Amsterdam Island in the South Indian Ocean. So far on this alignment, we have journeyed through Mauritius and the Seychelles, Somalia, the Gulf of Aden, Yemen, the United Arab Emirates, the Strait of Hormuz, Iran, Afghanistan, Tajikistan, Uzbekistan, Kyrgyzstan, Kazakhstan, China, Mongolia, back through China again, North Korea, Japan, the Bonin Islands, the Northern Marianas Islands, the island of Pohnpei in the Caroline Islands, and the Solomon Islands. Brisbane is the capital of Queensland in Australia, and its largest city. …to the Great Dividing Range, called the third largest mountain range in the world. I will be coming back to take a closer look at the Great Dividing Range because it is on this alignment as well. …compared with a historic photo of the Red River in the city of Winnipeg in the Canadian Province of Manitoba, on a different alignment. I am seeing and saying that snaky, s-shaped rivers are a signature feature of the ancient advanced civilization. …compared with this river bend of the Yangtze River in China. The Great Fire of Brisbane took place in 1864, thirty-nine years after what we are told was the year of the founding of the city. It burned out of control in the city’s Central Business District for several hours, destroying several blocks of businesses and homes. The Great Flood of Brisbane took place in 1893, sixty-eight years after the city was established. As a result of eight days and twenty inches of rain, the Brisbane River rose almost 24 feet. In addition to the floodwaters sweeping away two bridges, the city itself was severely flooded. Most importantly to note, the grand architecture with heavy masonry, cupolas, huge arches and huge columns in these historic flood photos is said to have been built in less than 70 years, according to the historical, narrative we have been given. While not really known to the general public, there are ten registered pyramids in the Australian State of Queensland, of which Brisbane is capital. I would like to point out two of the best known ones. The first is the Gympie Pyramid, in Gympie, Australia, which is just a short distance north of Brisbane. The Gympie Pyramid is described as a terraced sandstone hill. It is on private land and not open to the public. The other one is called the Ballandean Pyramid, on private property but viewable from the road, in the village of Ballandean in Queensland. This one is openly acknowledged to be man-made, however, it is said to have been in modern times when the land-owner paid someone to do something with the surplus granite rocks that had been excavated for the land’s agricultural use. …and Matopos Hills National Park in the African country of Zimbabwe. One more thing to point out before I leaving Brisbane. Something tells me I could stay here for the whole post and come up with a lot more to share. Brisbane is the gateway to Australia’s Gold Coast. It is a popular vacation resort, and has a lot of theme parks. It also has approximately 400 km, or 249 miles, of canals, about which I did not know until I looked just now…. …compared with an aerial photo of Las Olas Isles in Fort Lauderdale, Florida. Now, by not being given any other explanation, we just assume all these canals were built relatively recently. What I am finding, as I follow the planetary alignments, are canal systems of similar sophisticated engineering all over the world in places that I would not expect to find them! 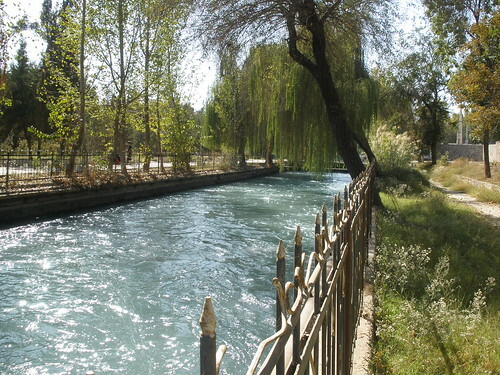 For example, in places like Quorgonteppa, Tajikistan, which is close to Tajikistan’s border with Afghanistan. 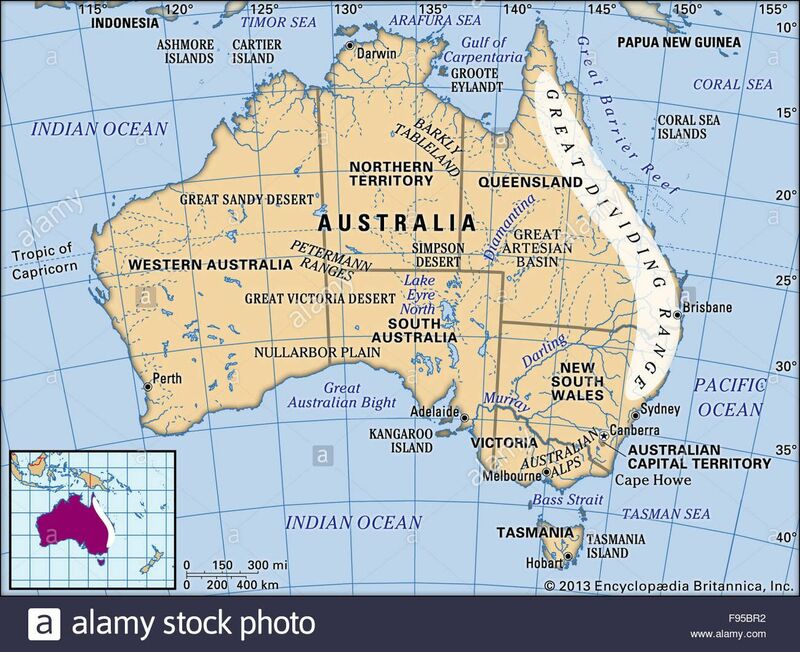 So continuing on the alignment, back to the Great Dividing Range, also known as the Great Divide, or the Eastern Highlands, pretty much parallels the east coast of Australia for about 2,300 miles (or 3,700 kilometers. It is described as a series of plateaus and low mountain ranges. 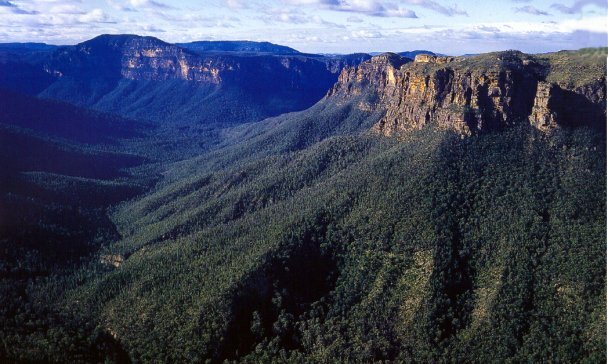 This feature of the Blue Mountains in the Great Dividing Range called the Three Sisters. 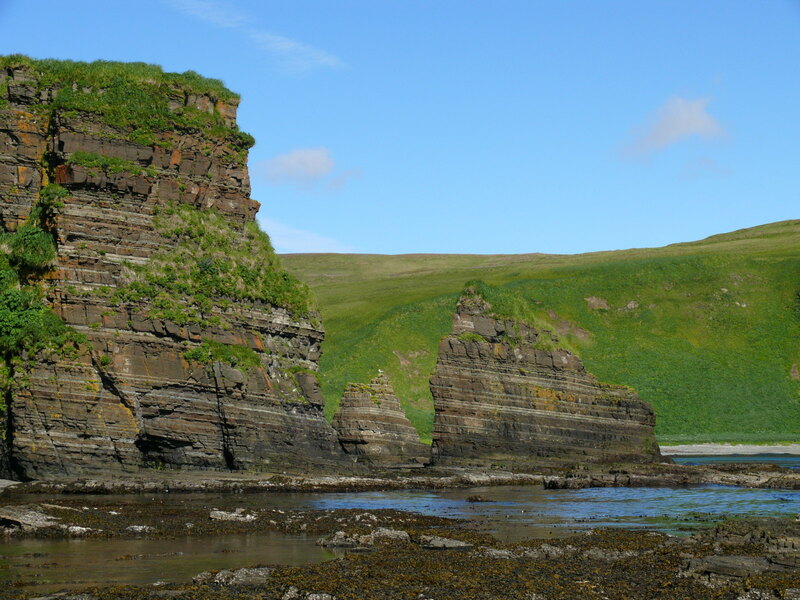 …which immediately brought to mind this feature, which is found at Agattu Island, at the far western end of the Aleutian Island chain. …and brought to mind Slap Sopot, a waterfall in Istria, which is the largest peninsula in the Adriatic Sea, and shared by Italy, Slovenia, and Croatia. 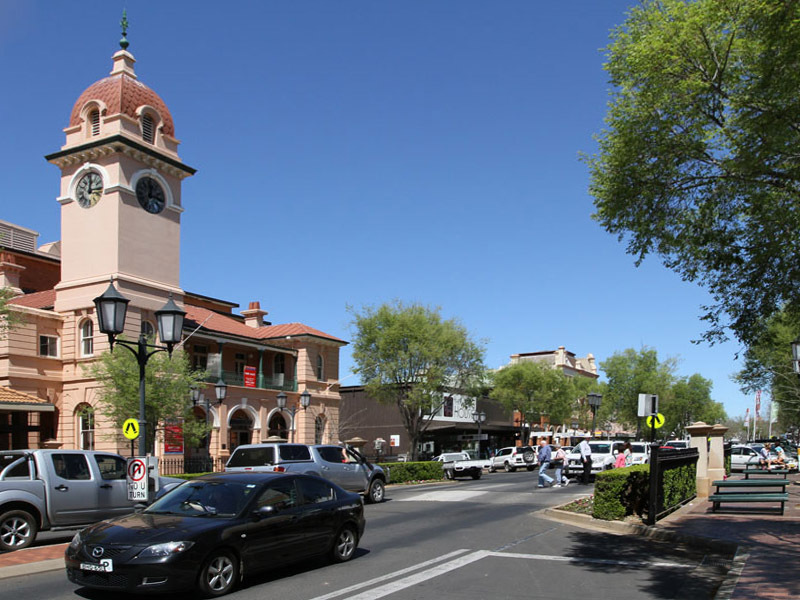 Next on the alignment we come to Dubbo, the largest city in the Orana region in the Australian State of New South Wales. It is located on the Macquarie River, and is the crossroads where three highways intersect. This is the courthouse in Dubbo, said to have been commissioned in 1884 and completed in 1887. It looks like courthouses and government buildings from all over the world said to have been built in this time period. …compared with what is called the Moorish Kiosk in Hermosillo, Mexico, which is on a different alignment. Next, the alignment crosses over the Murray River, Australia’s longest river, and forms the border between the Australian states of New South Wales, and Victoria. …compared for similar attributes with Merrick Butte in Northern Arizona’s Monument Valley near the Utah State Line. So the alignment crosses the Murray River and passes through Geelong in the State of Victoria, a port city on the Corio Bay, which is a bay off of the larger Port Phillip Bay. This historic building was called the Geelong Exhibit Building and Market Square Clock Tower. The Clock Tower was demolished in 1923, and the remaining buildings were demolished in the early 1980s to make room for a new shopping center. …which has actually survived to the present day. The building is intact, but I wonder what those interesting looking towers were for, in front of the older picture of the building, that are no longer there. Next on the alignment we come to Portland, the oldest European settlement in New South Wales, and is the main city in the Shire of Glenelg on Portland Bay. It is the only deep seaport between Adelaide and Melbourne. 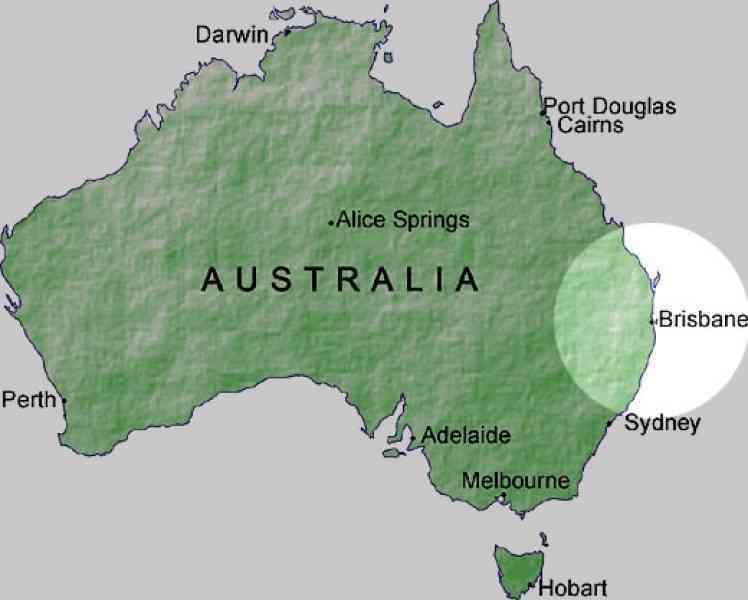 There is also a belt of active volcanoes in Victoria State that runs between Portland and Geelong, with one close to Portland itself. I have found a high correlation between these planetary alignments and the occurrence of volcanoes. …and with this building in the historic French Quarter of the city of New Orleans in Louisiana. …that studies the geomagnetism of the earth, as well as biology and weather. This is a photograph taken at Amsterdam Island of a phenomenon called Lee Waves, which are atmospheric stationary waves. The next series will be about a circle alignment that starts and ends in Algiers, Algeria.